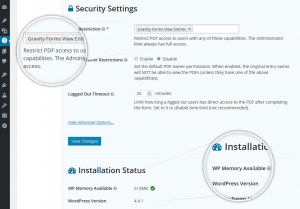 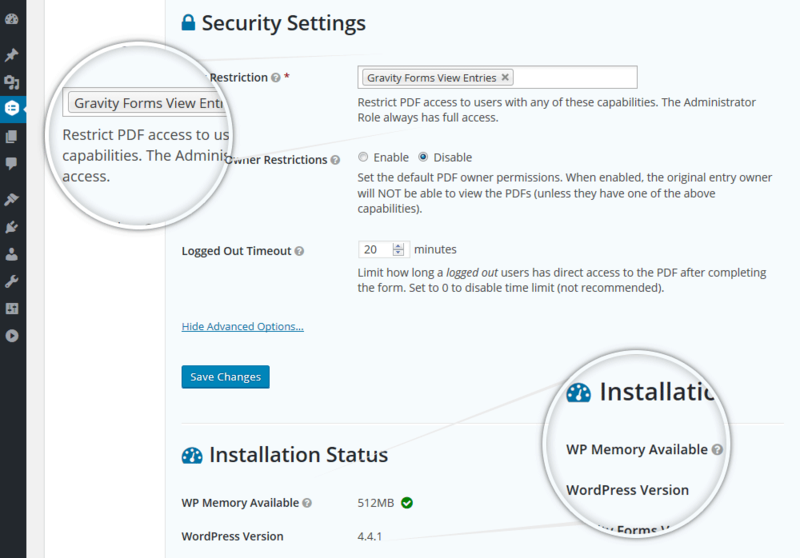 After activating, head to Form -> Settings -> PDF and check over the plugin’s default settings. 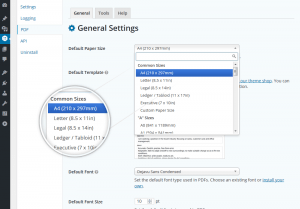 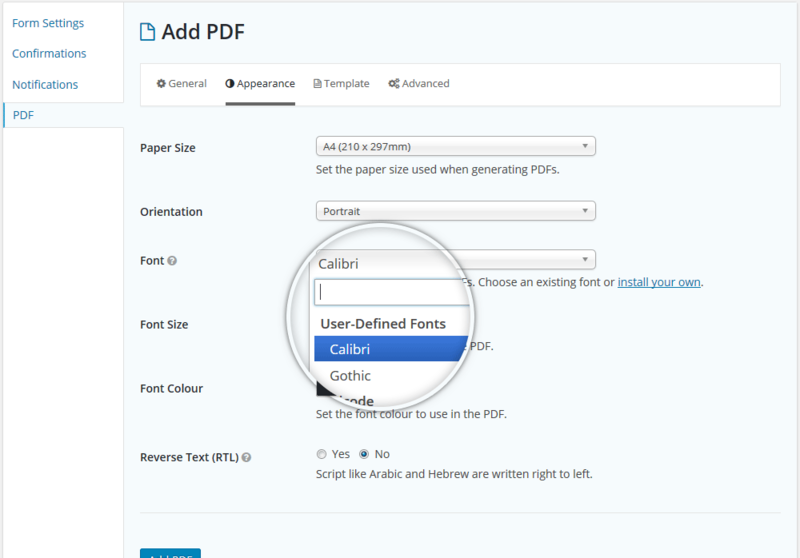 The software uses sane defaults but you may want to tweak the PDF paper size, PDF template and font family, size and colour. 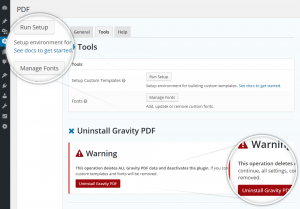 You should also check the System Status to make sure there are no warnings that may need your attention. 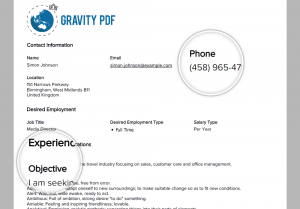 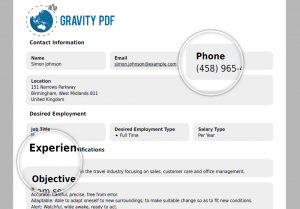 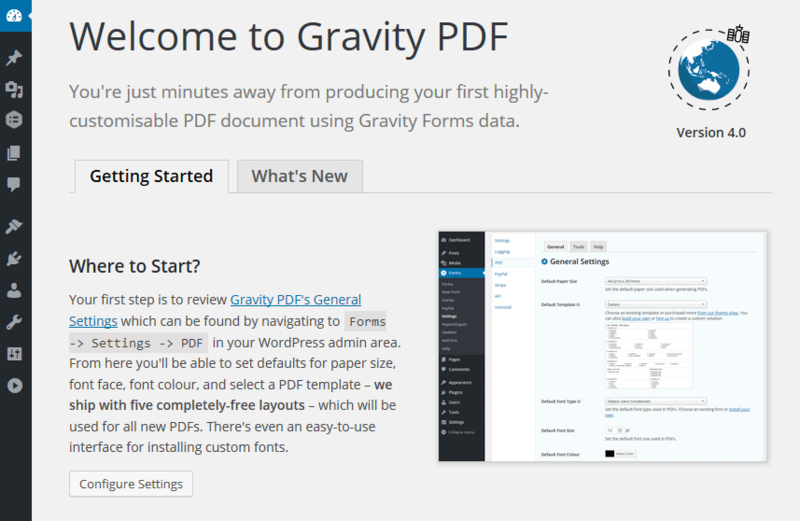 Next, it’s time to setup a PDF for your Gravity Form. 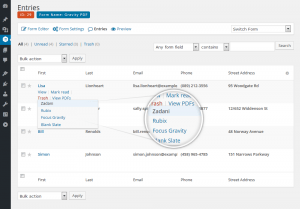 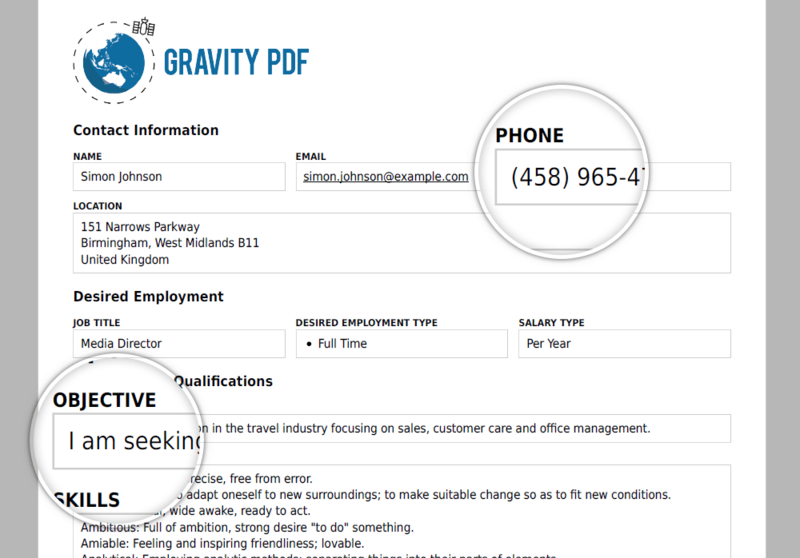 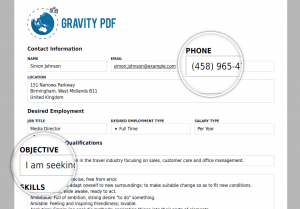 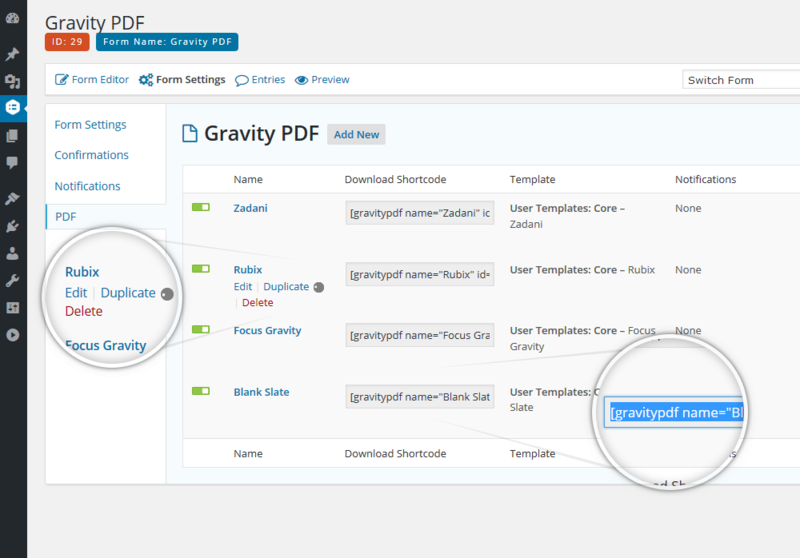 Head to Forms -> Forms and select the Gravity Form you want integrated. 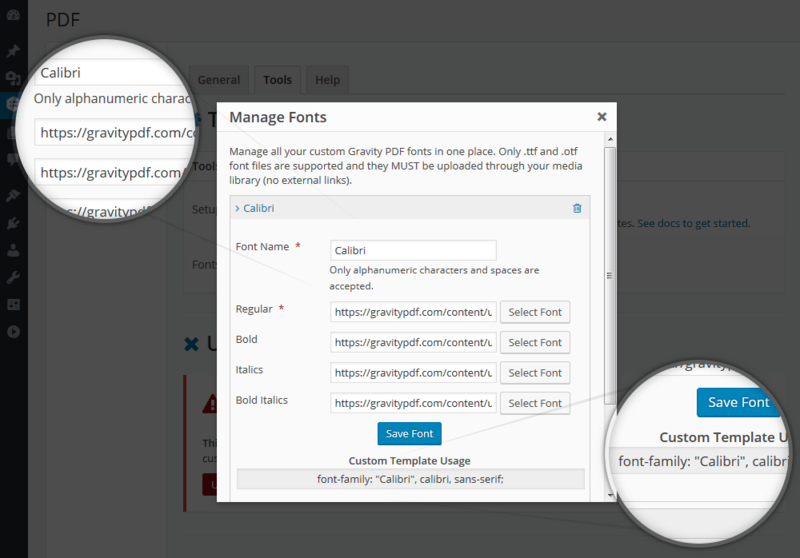 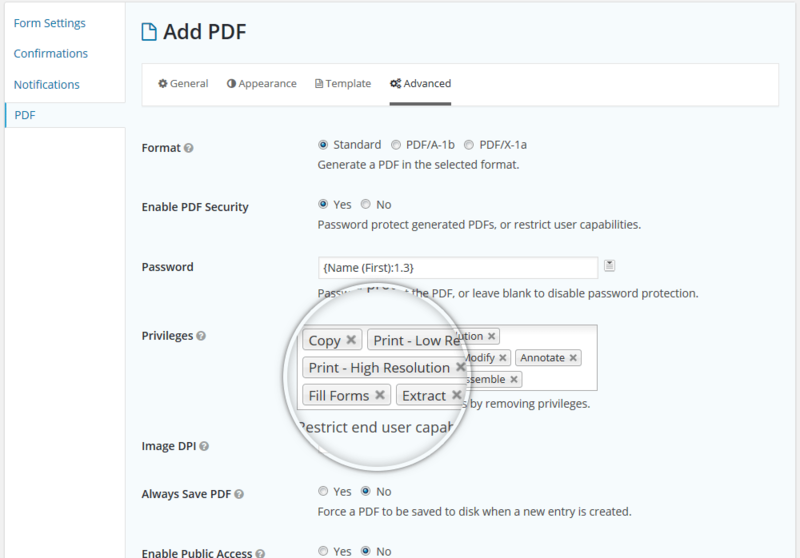 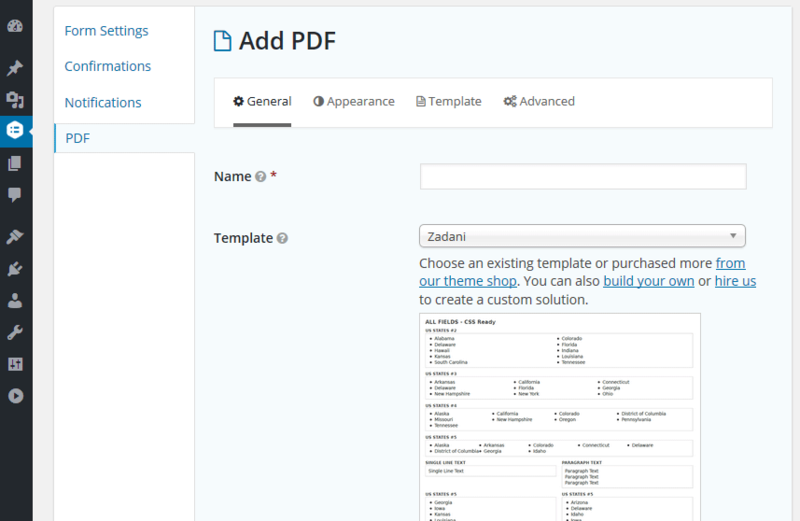 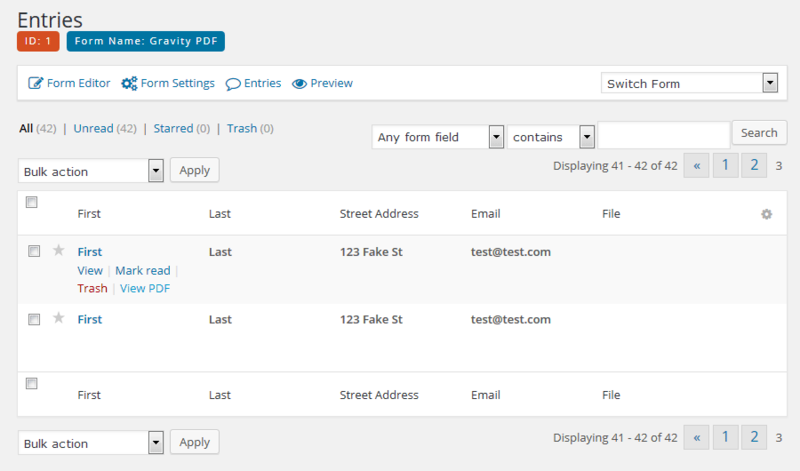 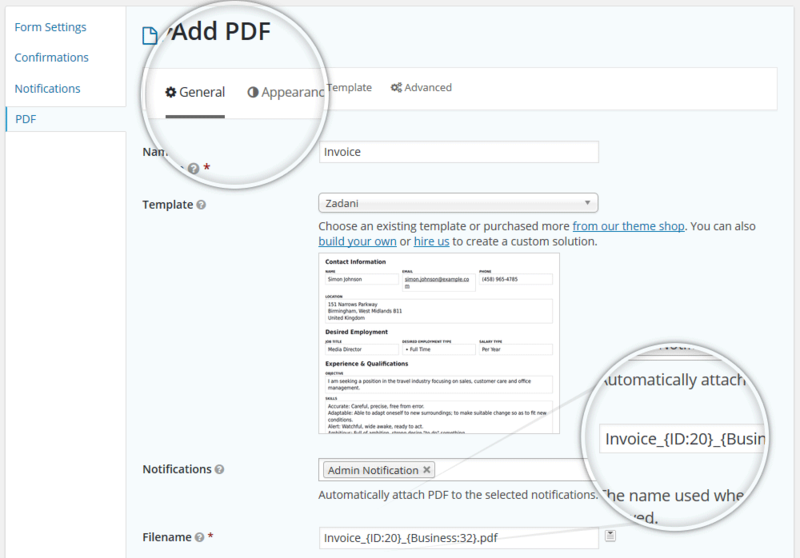 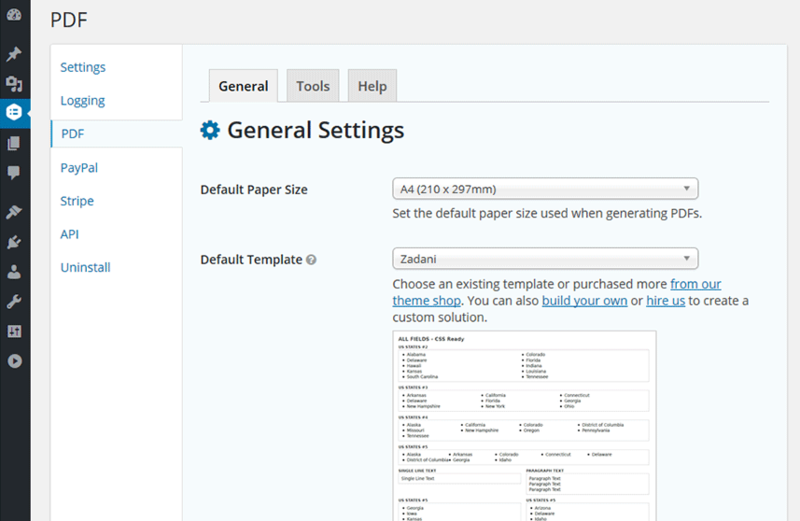 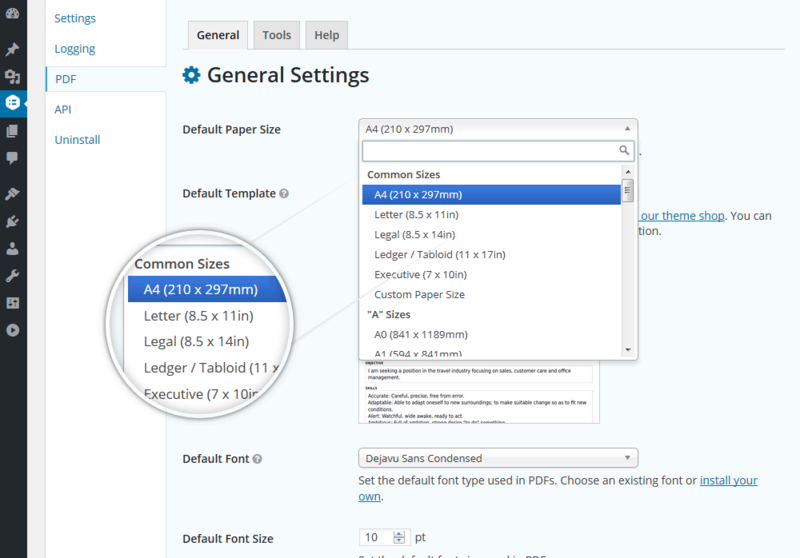 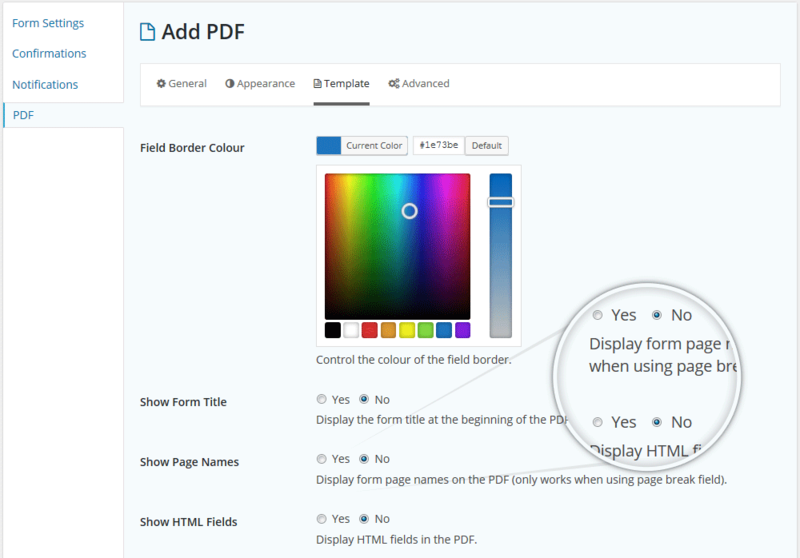 From the form editor page, hover over the Form Settings menu item and select PDF from the sub-navigation. 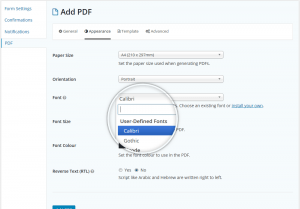 Finally, click the Add New button to create a PDF. 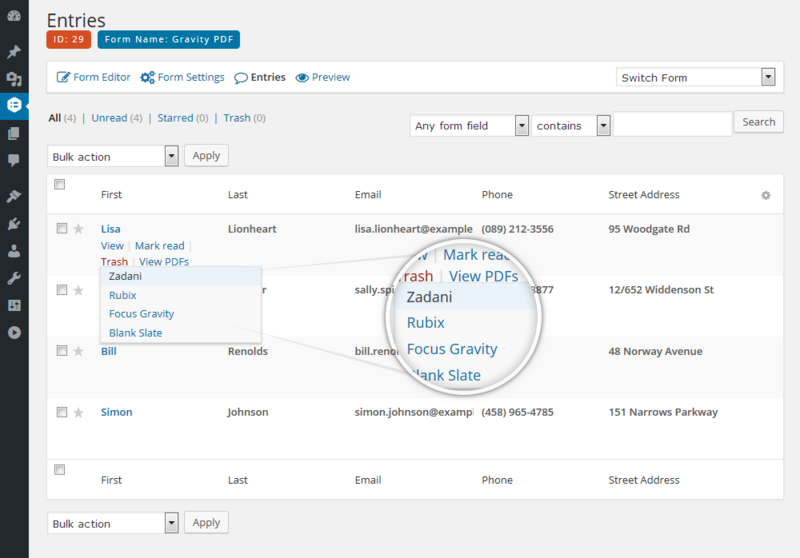 While there are a lot of options available to you, only the Name and Filename settings are required. 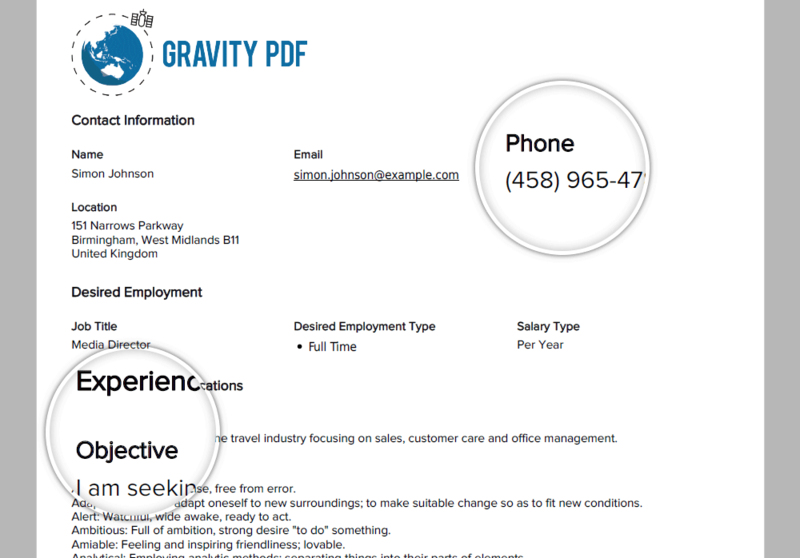 Go ahead and fill those in. 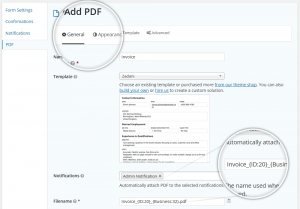 If you want the PDF automatically emailed when your form is submitted select the notifications you want it attached it in the Notifications setting. 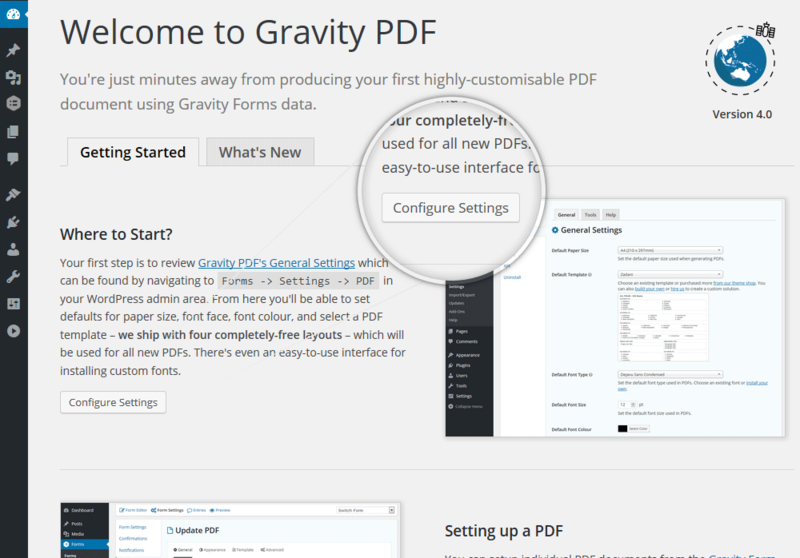 Finally, click Add PDF to complete the setup. 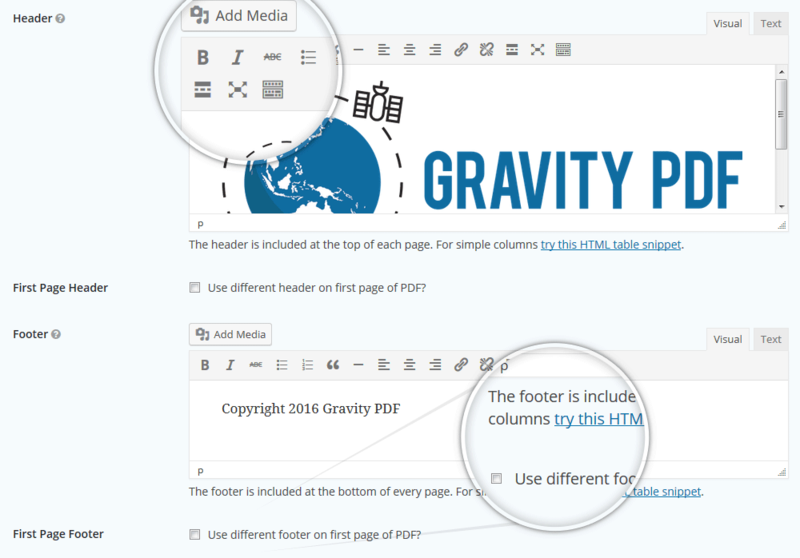 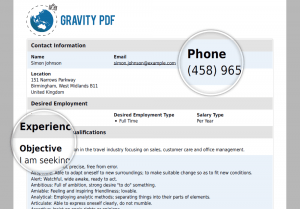 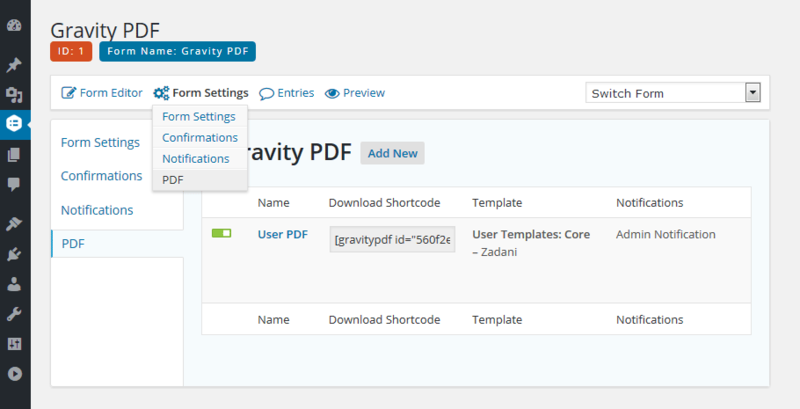 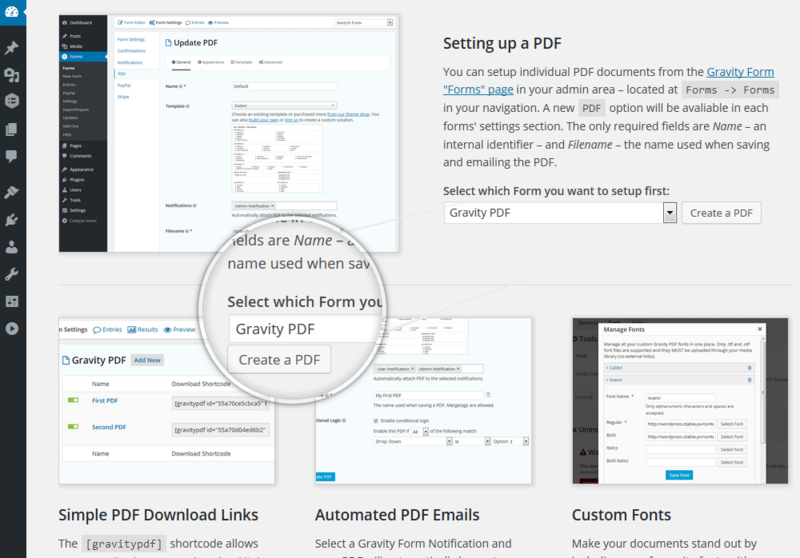 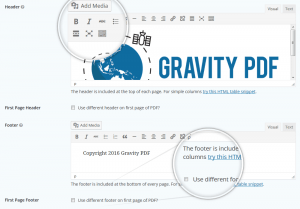 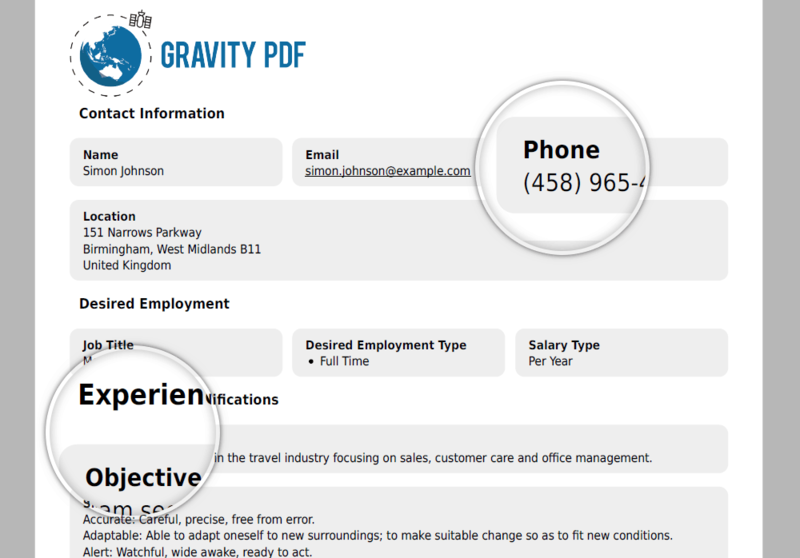 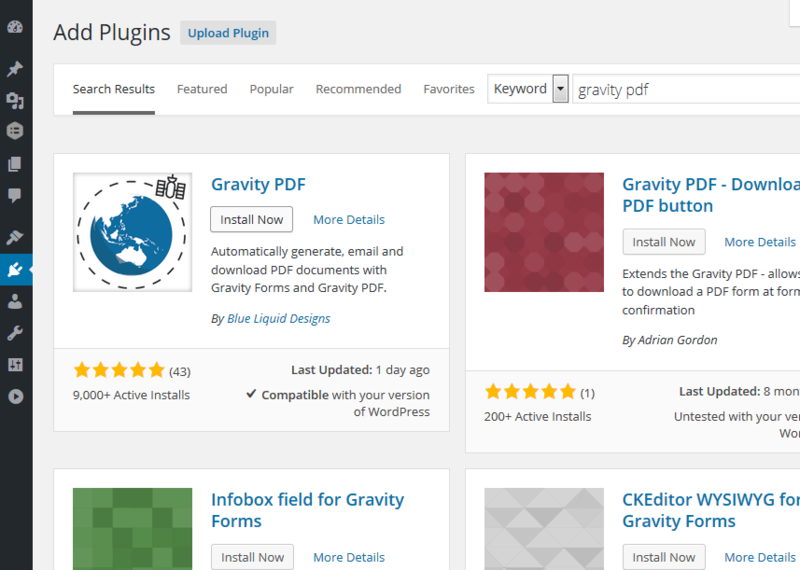 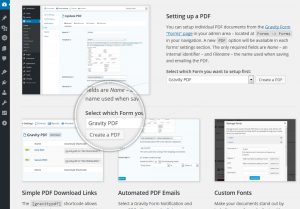 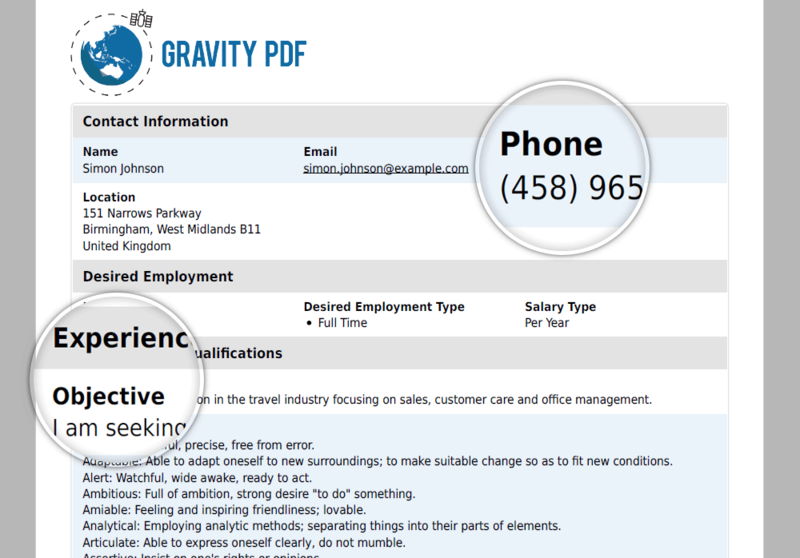 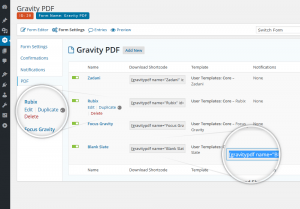 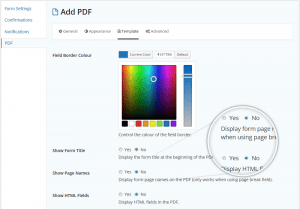 Now you’ve setup the PDF you can view and download it from the Gravity Form Entries page in your admin area (just make sure you’ve submitted an entry already). 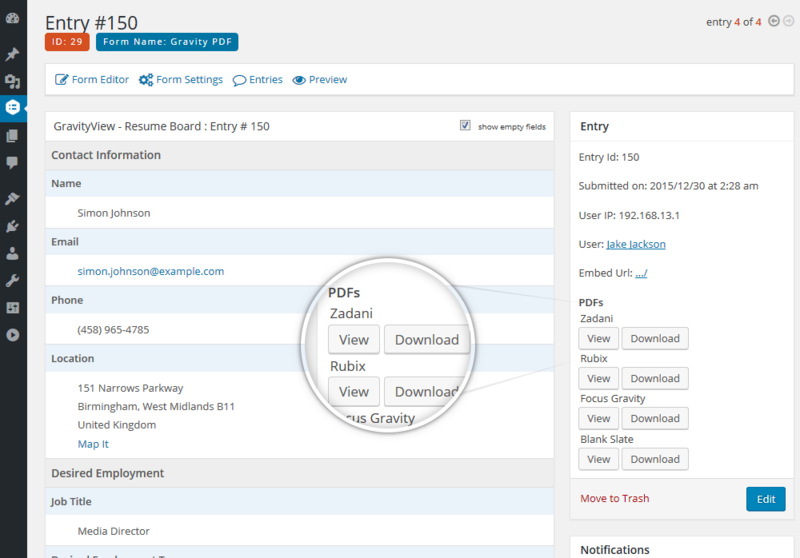 And if you configured it, when you submit the form the generated PDF will be attached with the email notification.